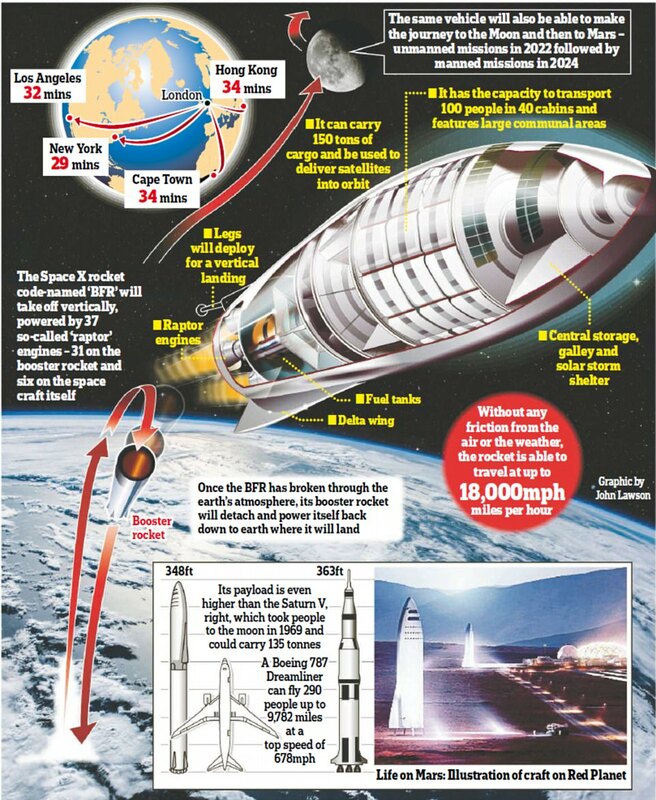 Billionaire technology magnate Elon Musk has revealed the giant rocket he hopes will take man to the moon and Mars. 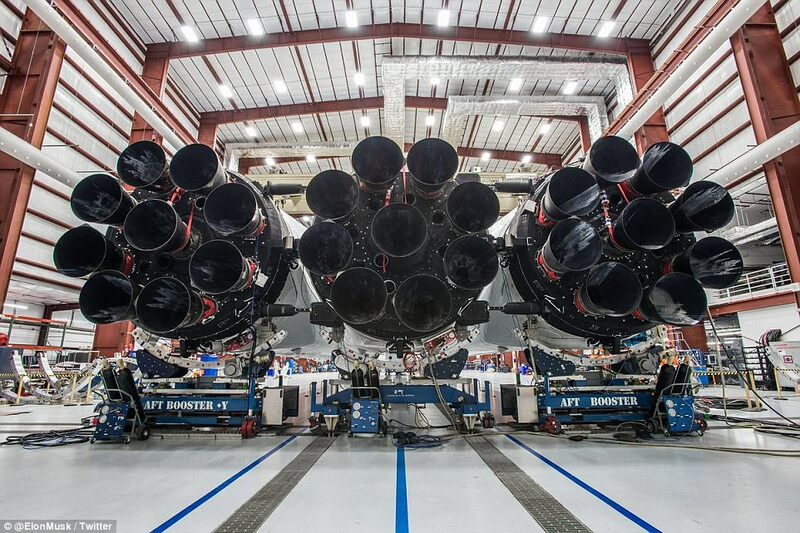 Scheduled to blast off from Cape Canaveral on the same pad as the Saturn V Apollo 11 moon rocket on its first unmanned mission next month, Musk has boasted it will have double the thrust of the next largest rocket in use. He also says it will carry his own Tesla Roadster, which will be sent flying towards Mars. 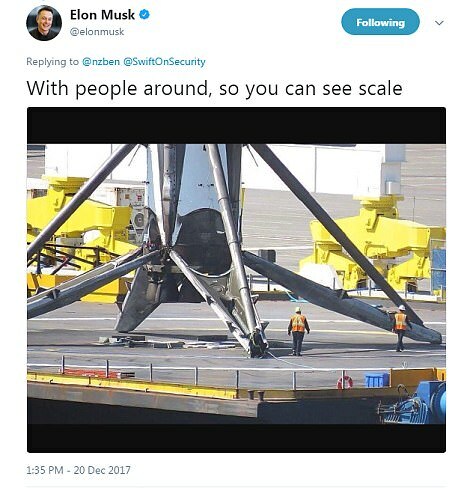 Today Musk also tweeted an incredible image of people next to a landed rocket to give an idea of the scale of themachines. He said 'Falcon Heavy launching from same @NASA pad as the Saturn V Apollo 11 moon rocket. He also confirmed the rocket will have a 'max thrust at lift-off is 5.1 million pounds or 2300 metric tons,' adding the first mission will run at 92%. However, some reports have claimed Musk's plan to launch a Tesla Roadster to Mars next month blaring David Bowie on the stereo may not be all it seems. Musk, 46, made the announcement via Twitter earlier this month, telling his followers the first flight of the SpaceX Falcon Heavy, will blast off from Cape Canaveral, site of the historic Apollo 11 mission with his car on board. However, he has since told The Verge he 'totally made it up' - although insiders say the plan is actually real. 'Payload will be my midnight cherry Tesla Roadster playing Space Oddity. 'Destination is Mars orbit. 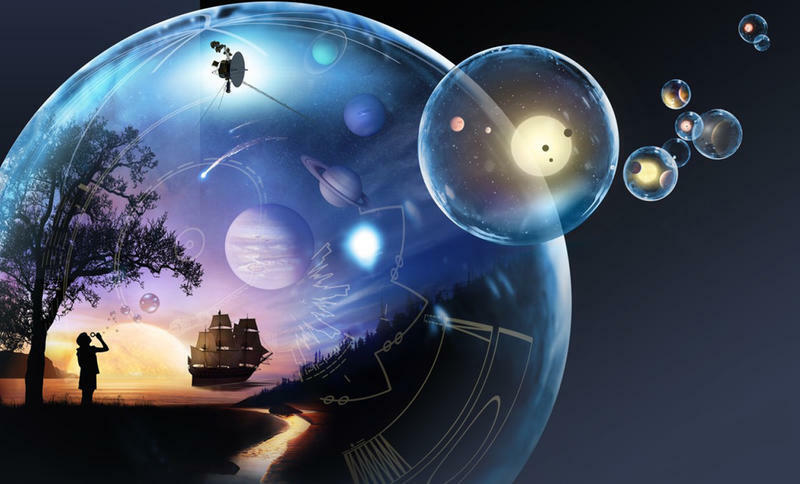 Will be in deep space for a billion years or so if it doesn't blow up on ascent. He later said the car was chosen as a 'Red car for a red planet'. Musk founded SpaceX in 2002, with the aim of reducing space transportation costs and enabling the colonization of Mars. Although the public announcement shoots for next month, the date is not set in stone, with the ambitious CEO known for getting ahead of himself and periodically missing release dates. 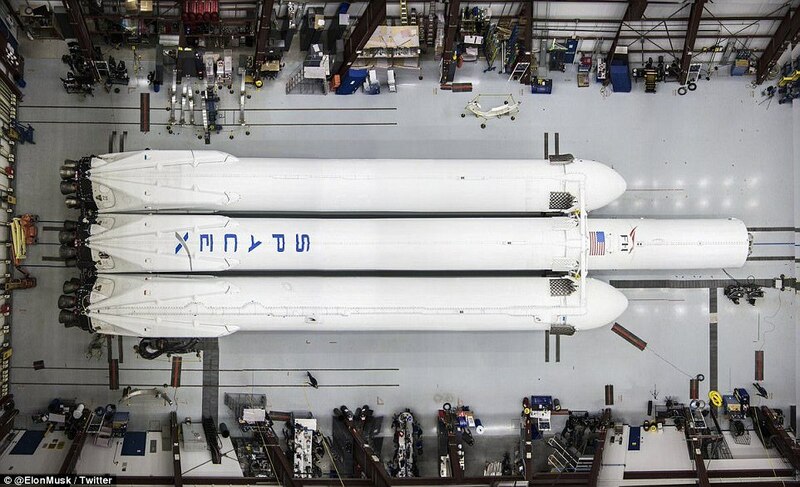 Earlier last week SpaceX said it had delayed the launch of its giant Falcon Heavy rocket until 2018. The firm said it was still on course to test the rocket in a static fire trial this year. If all goes well with the engine tests, Falcon Heavy should be ready for launch within the first few weeks of 2018. However, in an email to Aviation Week, SpaceX President Gwynne Shotwell revealed the delay - which now appears to have been overruled by Musk. 'We wanted to fly Heavy this year,' she wrote. The static fire test will be the first time that all of Heavy's 27 Merlin engines will be fired at once. 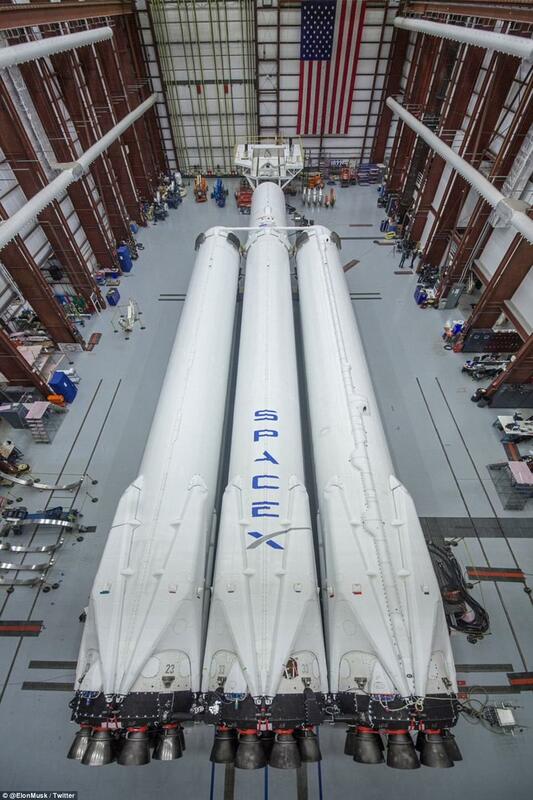 And if all goes well there, Falcon Heavy should be ready for launch within the first few weeks of 2018. 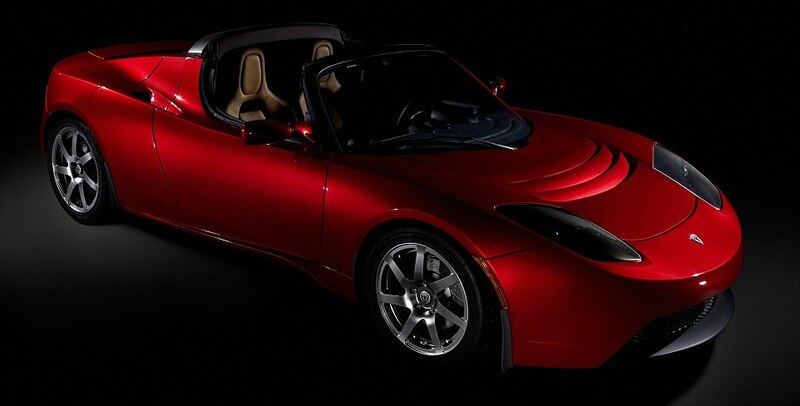 Last month, Musk unveiled the 2017 Tesla Roadster, billed as the fastest production car ever made. The $200,000 (£151,000) sports car - an updated version of Tesla's first production vehicle - can seat four and travel 620 miles (1000 km) on a single charge, a new record for an electric vehicle. The car - which also features a removable glass roof - can go from 0 to 60 miles per hour (0 to 100 km/h) in 1.9 seconds and has a top speed over 250mph (400 kph). 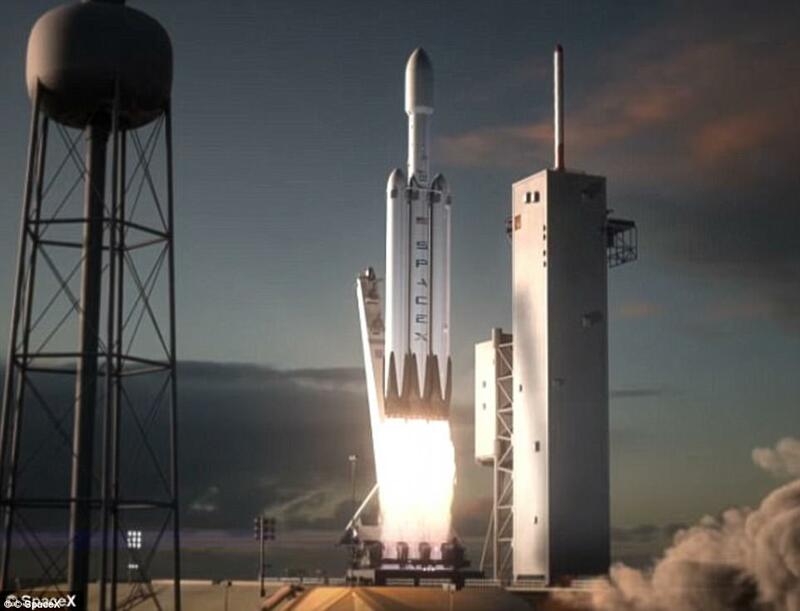 SpaceX has been working on the Falcon Heavy rocket for years, and announced this fall that work to build an even bigger rocket that will be capable of transporting humans to Mars was already underway. Musk, who aspires to colonize the 'Red Planet' in the coming decade, wants to land at least two of the spacecraft on Mars by 2022, according to CNN. SpaceX has revolutionized the aerospace industry over the past 15 years, driving costs down in the industry while at the same time developing technology that can blast out of the atmosphere and then come back down to earth. Traditionally, rockets that have been launched into space are used just once and are left to burn up in the atmosphere after a mission.